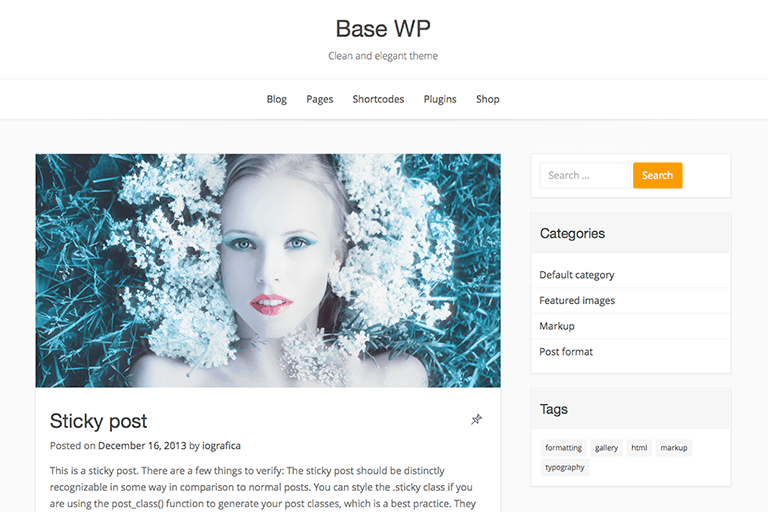 Base WP is a basic blog or business, responsive and clean coded, WordPress theme. Thanks to its integrated WooCommerce and Easy Digital Downloads function, it is also suitable for those wishing to launch a commercial activity. With Base WP Premium you will have access to tons of new options so you can change your theme appearance and functionalities without writing custom code.